It looks like the speculations about the future of McLaren, Honda, and Alonso in Formula One are finally over in what is turning out to be a stunning reveal for what the 2018 season may look like—and one that is unlikely to spell success for at least two of the aforementioned parties. After experiencing one of the worst F1 seasons in its history despite optimistic promises at the end of 2016, McLaren was more than ready to part ways with Honda after just three of the 10 years their technical partnership was originally supposed to span. However, McLaren had not put in notice of a new engine manufacturer by the FIA’s May deadline. The team had planned to abandon Honda and get one of the other engine manufacturers—Mercedes, Ferrari, or Renault—to supply them. Presumably, McLaren assumed the FIA would force one of the suppliers to do this for the sake of keeping one of Formula One’s most prestigious and historic organizations, but the FIA warned McLaren it would not be blackmailed. Red Bull Racing, on the other hand, was amenable to a deal—and a deal was indeed made at last. In 2018, McLaren will be powered by Renault, while Red Bull’s sister team Toro Rosso will be the one to enjoy an exclusive technical partnership with Honda. As compensation for cancelling the Toro Rosso engine supply contract and for supplying a team that may begin outperforming it in the championship, Renault will put Carlos Sainz Jr. in the seat currently occupied by the underperforming Jolyon Palmer (possibly as early as the 2017 Malaysian Grand Prix). McLaren will lose the significant financial backing provided by Honda, which was supplying its engines for free and paying Fernando Alonso’s considerable $40 million salary. However, Mansour Ojjeh and the Bahrain Mumtalakat Holding Company—McLaren’s majority shareholders—will cover the additional costs for one year to give the team time to lure new sponsors with improved results. The latter is most likely the true motivation behind McLaren’s move. Switching to Renault is not going to give McLaren the wins it craves; but, desperate to keep sponsors and a world-class driver in Alonso, McLaren had to choose between potential long-term success with Honda and short-term damage control. There have been suggestions that McLaren would manufacture its own engines when the new regulations arrive in 2021, so it’s possible the Woking team is simply looking to bridge the gap from now till then while enduring the least amount of humiliation after three difficult years. New engine suppliers such as Porsche may also be entering the sport by then to increase the team’s options. In the meantime, the obvious winner is Red Bull. 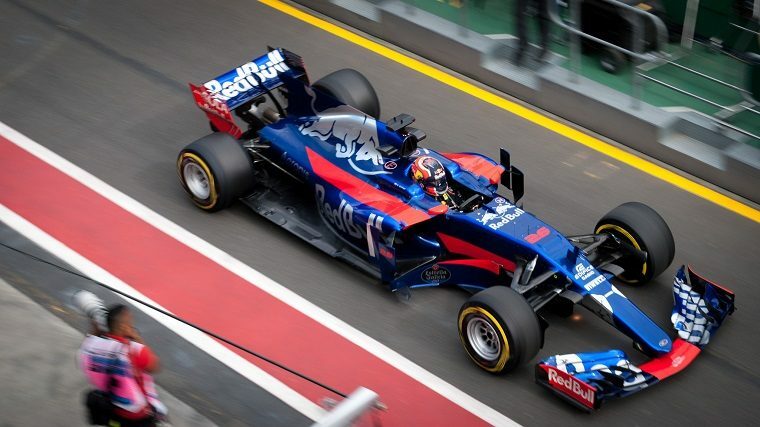 Sainz’s departure opens up a seat for Pierre Galsy to finally make his Formula One debut, but more importantly, the team now has an exclusive alliance with Honda via Toro Rosso. Since Renault began investing into its own outfit and ultimately looking to supplant Red Bull as the most successful Renault-powered team, Red Bull has been looking for a new, exclusive engine partner. Using Toro Rosso as a test bed, Red Bull can now begin a working relationship with Honda and decide whether, by 2019, its engines are finally competitive enough to adopt in the main team. The obvious loser, on the other hand, is Robert Kubica, who had been widely and pegged as making a return to the sport with Renault. With Sainz taking Palmer’s seat, that option has been definitely crossed out. However, the Pole is now reportedly seeking a drive with Williams. It’s true…the Formula One silly season never ends.